Among Apple's patent applications, there's one for a multi-orientation dock which seems like it won't rely on traditional electrical contacts on the bottom of your device. The document describes a docking station that, like those currently available, allows both data and power transfer to a portable device, like an iPhone or iPad. 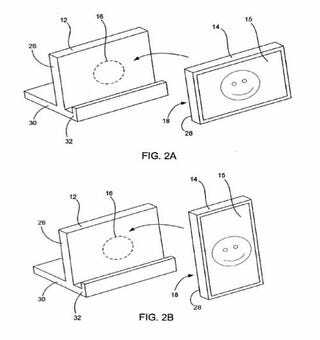 But the new hardware would include a port that is "rotationally symmetric," allowing it to support any device orientation the user may choose. Rather than "plug in" a device, the necessary power and data contacts could be flush with both the portable device and the docking station. This would allow the device to simply rest on the docking station, negating the need to line up a plug with a port on the device.